Police forces across the UK will step up efforts to catch drivers using a mobile phone next week, as part of a nationwide campaign. The week-long campaign, which launches on Monday (15 April), is being coordinated by the National Police Chiefs’ Council (NPCC) – with a warning that one moment of distraction can lead to ‘devastating consequences’. The NPCC says enforcement activity will be stepped up during the campaign, to ensure that motorists adhere to ‘road safety rules’. In Avon and Somerset, police officers will use the campaign to remind drivers of the penalties given to those who use their mobile phone at the wheel. Drivers are also being encouraged to turn off their phones, lock them away in the glove box and switch on ‘do not disturb’ mode. In the south east, Kent County Council’s road safety team is running a month long campaign to remind drivers of the distraction that using a phone creates, straddling the enforcement focus from Kent Police. 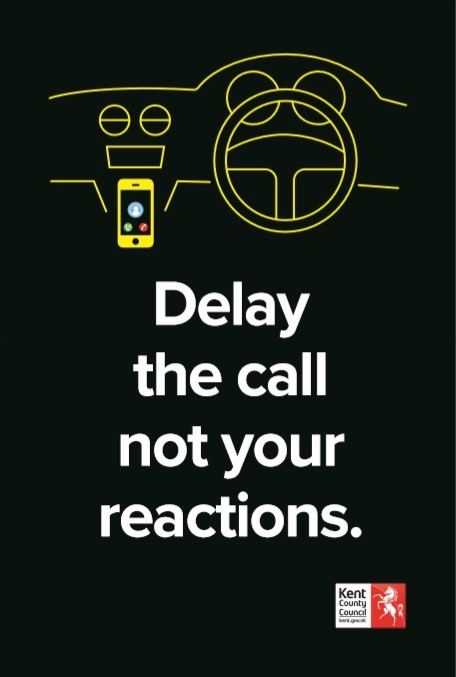 The Kent campaign, in support of their police partners, is using On Demand TV, social media and small road side posters (pictured right) to highlight the impact that phone use can have on reaction times. Meanwhile in Bedfordshire, Cambridgeshire and Hertfordshire, the message being shared by the police is ‘don’t be distracted, just drive’. Sgt Ian Manley from local roads policing unit, said: “There are serious and sometimes fatal consequences of using your phone whilst behind the wheel. Since 2016, drivers caught using their mobile phone face being given six points on their licence, and a £200 fine. CC Anthony Bangham, NPCC lead for roads policing, said: “Driving while distracted by a mobile phone is completely unacceptable and puts everyone on the roads at risk of serious harm, one moment of distraction can lead to devastating consequences. “There are tougher penalties now in place to clamp down on this dangerous behaviour and police forces across the UK will step up enforcement activity during this mobile phone operation period. Road Safety GB has welcomed the increased enforcement – but says the key is maintaining a fear of detection after the operation has finished. 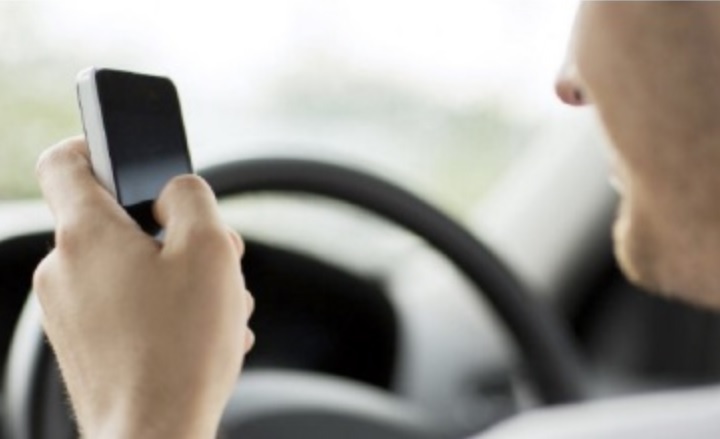 Steve Horton, Road Safety GB’s director of communications, said: “There’s no doubt short periods of enforcement activity can highlight particular illegal behaviours, so this national focus on drivers using mobile phones is a valuable reminder that this behaviour is unacceptable. “It will enhance the ‘fear of detection’, which we know is a key motivator for many drivers’ behaviour; if you know you’ll be caught 100% of the time using a mobile illegally you wouldn’t ever do it, if you know you’ll never be caught you’ll always do it – the truth is somewhere in between but not high enough for most who currently use their phone. “The challenge with such high profile enforcement activity is not just how widely it’s delivered but also how the fear of detection is maintained after the operation.